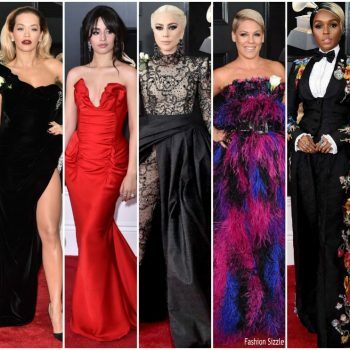 Rita Ora was in attendance at VH1’s Trailblazer Honors on Wednesday (February 20) in Los Angeles, California. 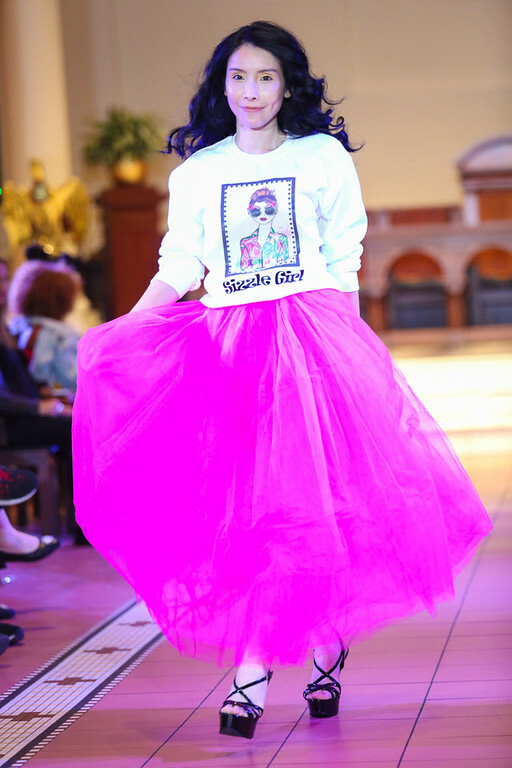 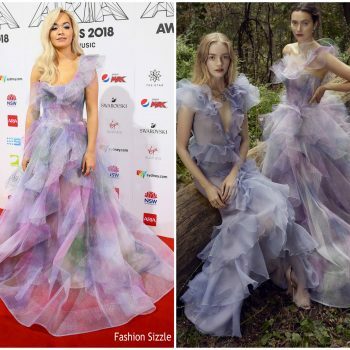 She wore a Ashi Studio Spring 2019 Couture design. 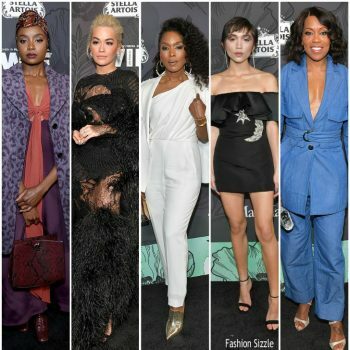 Rita Ora attended the Spotify Best New Artist 2019 party on Thursday (February 7) in Los Angeles, California. 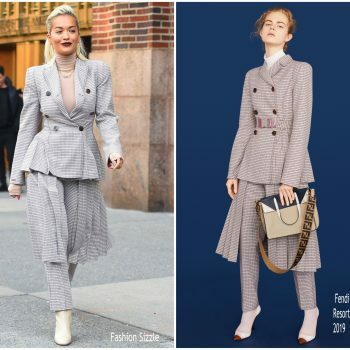 Photo by Chelsea Lauren/Variety/REX/Shutterstock She wore a Marc Jacobs Spring 2019 design. 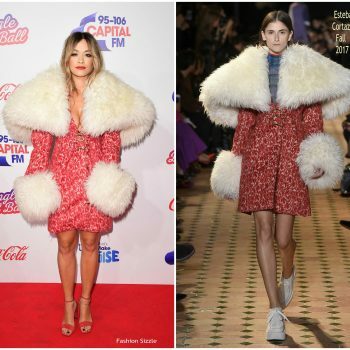 Rita Ora was in attendance at the Capital FM Jingle Bell Ball at The O2 Arena on Saturday (December 8) in London. 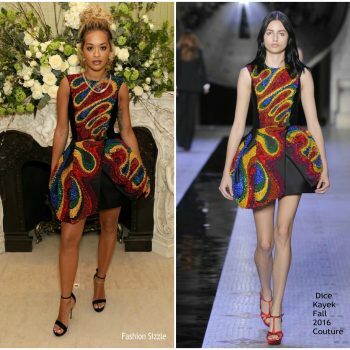 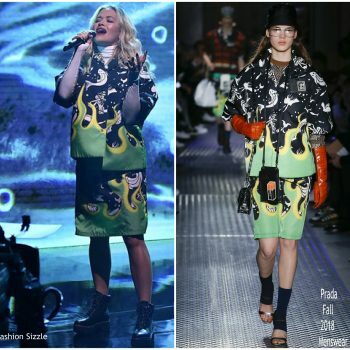 She Moschino Spring 2019 dress. .
Rita Ora was in attendance at the Cartier Precious Garage Party on Friday (November 29) in Sydney, Australia. 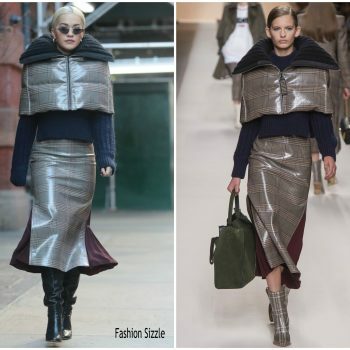 She wore a beige Iris van Herpen Fall 2018 Haute Couture dress. 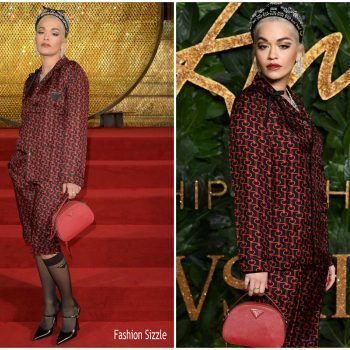 Rita Ora attended the 2018 Evening Standard Theatre Awards on Sunday (November 18) in London. 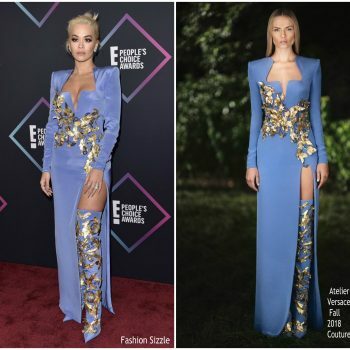 She wore a Thierry Mugler Couture gown. 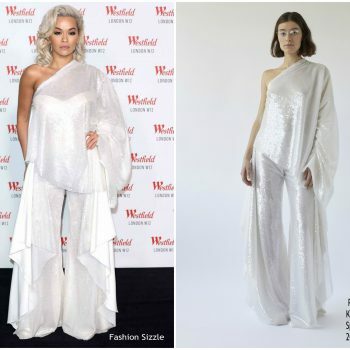 Rita Ora was in attendance and performed at Westfield London’s 10th anniversary celebrations at Westfield White City this evening (October 30) with Liam Payne. 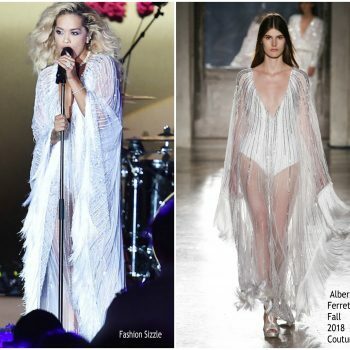 She wore a white Paula Knorr draped Spring 2019 dress. 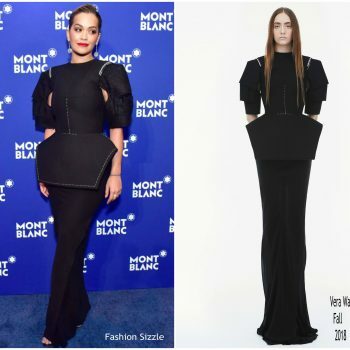 Rita Ora was in attendance at 2018 American Music Awards on Tuesday (October 9) in Los Angeles, California, She wore a black Giambattista Valli Fall 2018 Haute Couture gown. 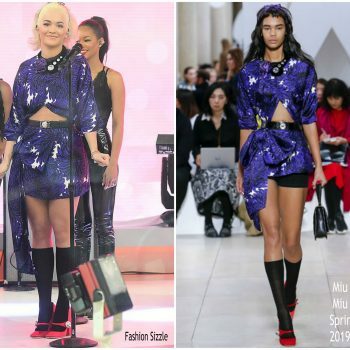 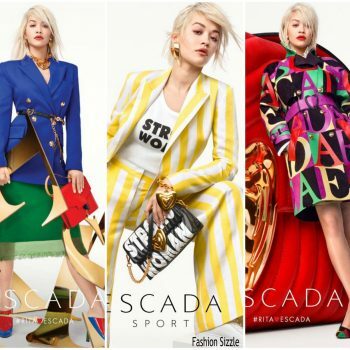 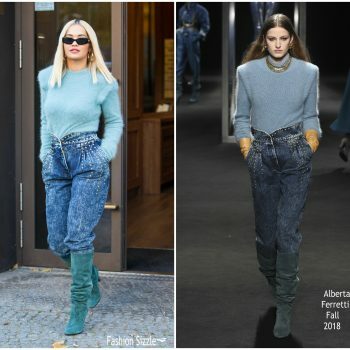 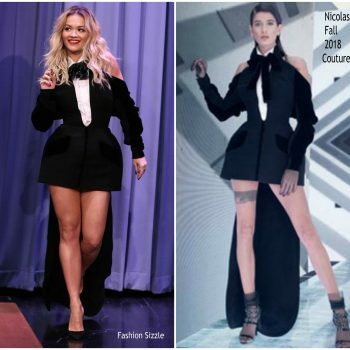 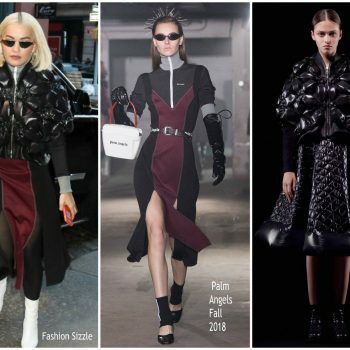 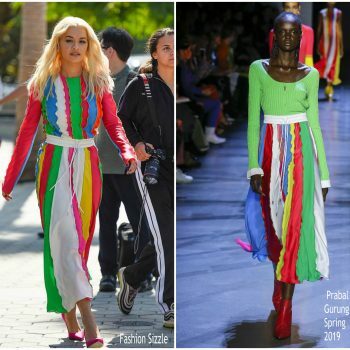 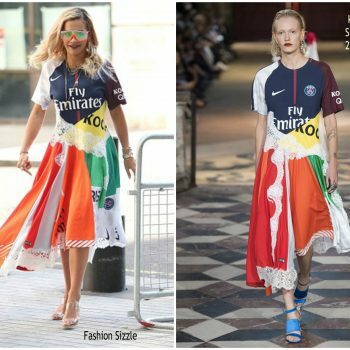 Rita Ora made a guest appearance on ‘Extra’ in LA, where she talked about her latest single, ‘Let You Love Me' on Monday (October 8 She wore a Prabal Gurung Spring 2019 dress. 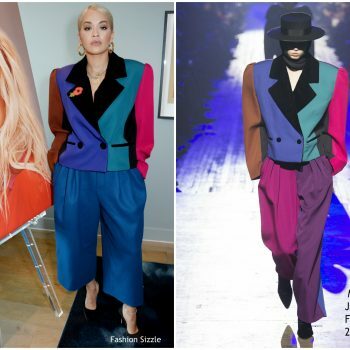 Rita Ora wore a Ralph and Russo Fall 2018 Couture asymmetric gown embellished with multicolored tiffany paillettes + velvet ribbon detail to the 2018 GQ Men of the Year Awards in London. 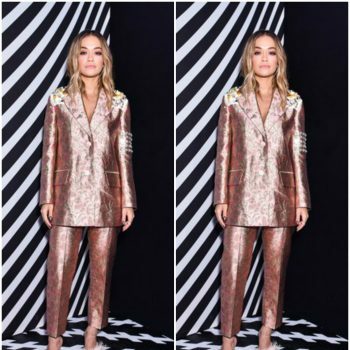 Rita Ora attended the 2018 MTV VMAs on Monday (August 20) in New York City. 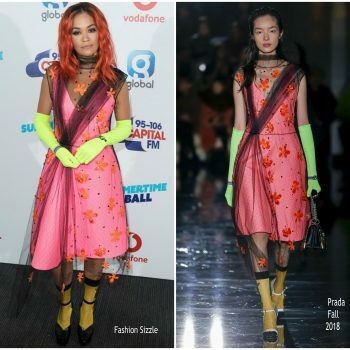 She wore aJean Paul Gaultier Fall 2018 Couture sheer embroidered gown. 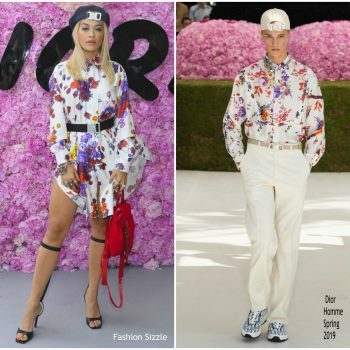 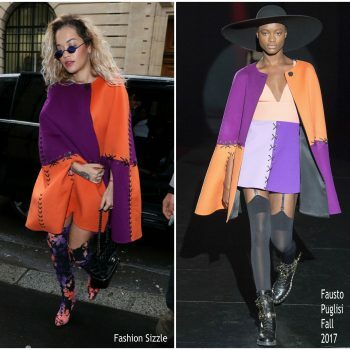 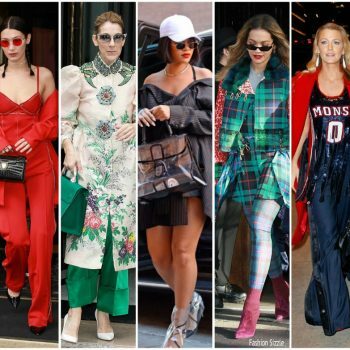 Rita Ora was spotted leaving BBC Radio One studios in London on (August 6) She wore a Koché Spring 2018 dress styled with Kenzo’s Spring 2019 sunglasses and perspex heels. 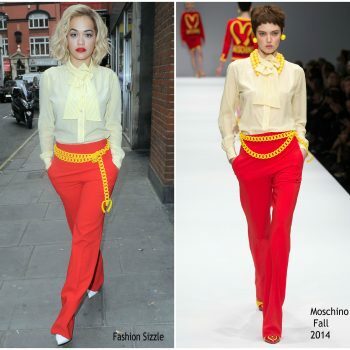 Rita Ora performed at Hits Radio Live at the Manchester Arena on Saturday (July 14) in England. 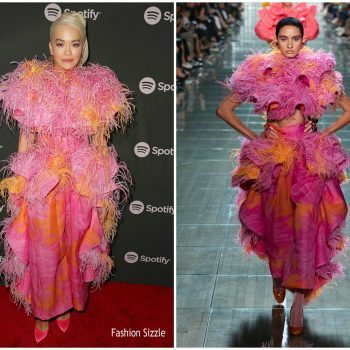 She wore a pink Nina Ricci Spring 2018 design. 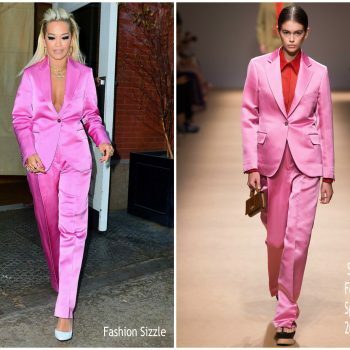 Rita Ora attended the 2018 Fragrance Foundation Awards held at Alice Tully Hall on Tuesday (June 12) in New York City. 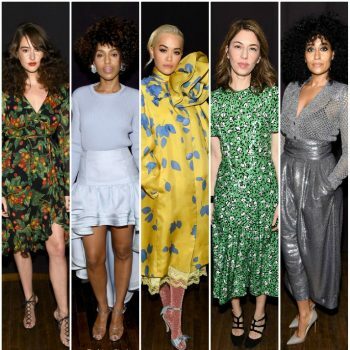 She wore a yellow Tom Ford Spring 2018 dress styled with Lorraine Schwartz jewels. 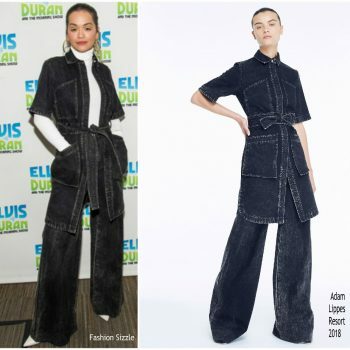 Rita Ora attended the Alain Mikli x Alexandre Vauthier Launch Party held at the Penthouse on Rivington on Thursday (April 5) in New York City. 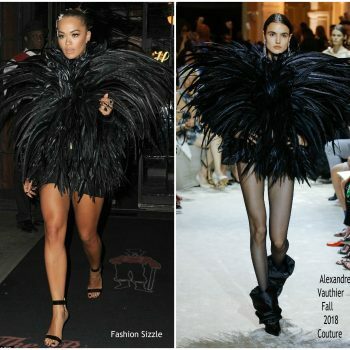 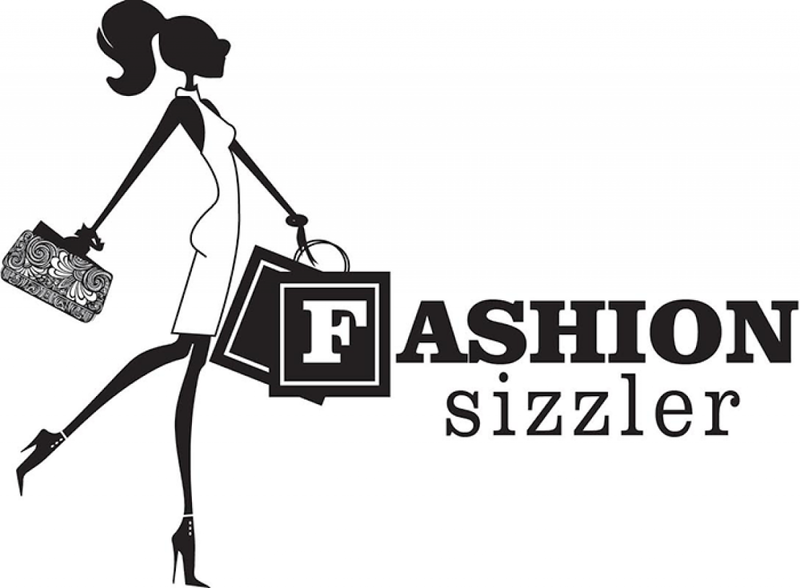 She is wearing a black Alexandre Vauthier Fall 2018 design. 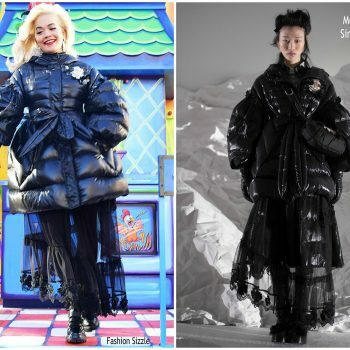 Recording artist Rita Ora attends the Montblanc Meisterstuck Le Petit Prince event at One World Trade Center Observatory on April 4, 2018 in New York City. 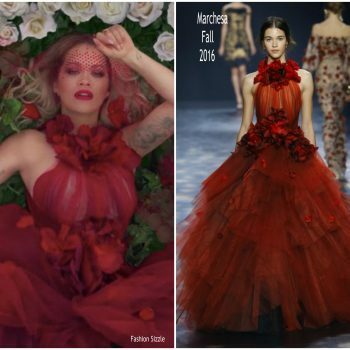 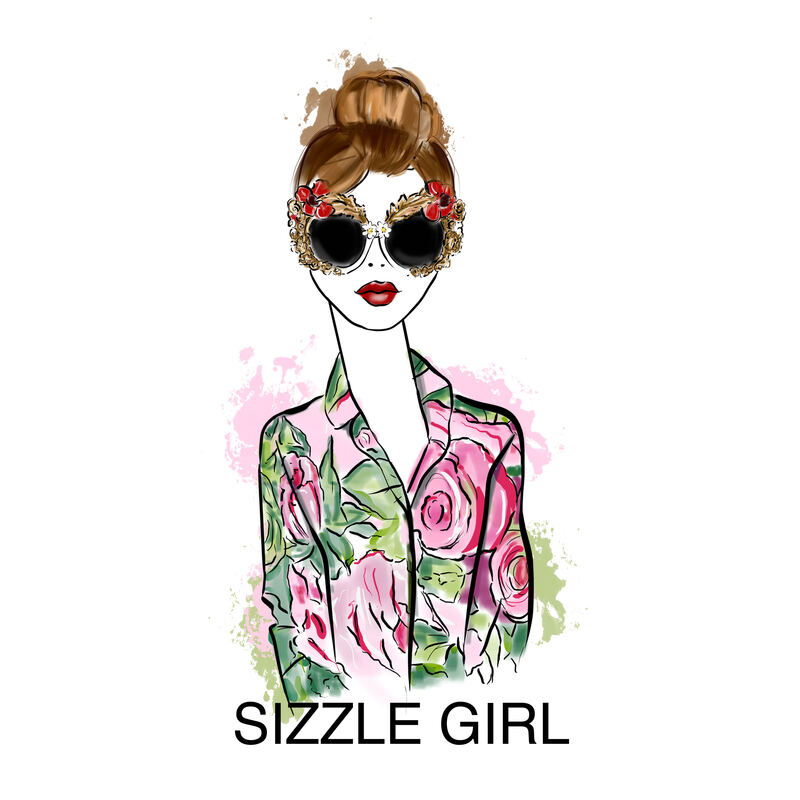 She is wearing a Vera Wang Fall 2018 design. 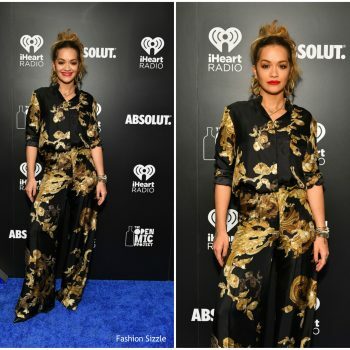 Rita Ora was in attendance as a guest presenters at the 2018 iHeartRadio Music Awards on Sunday (March 11) in Inglewood, California. 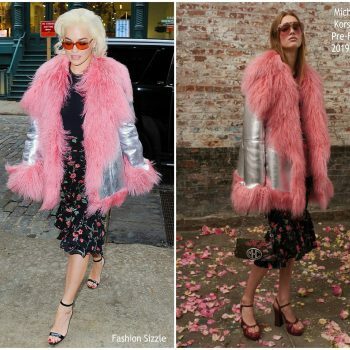 She is wearing a Nina Ricci Pre-Fall 2018 design. 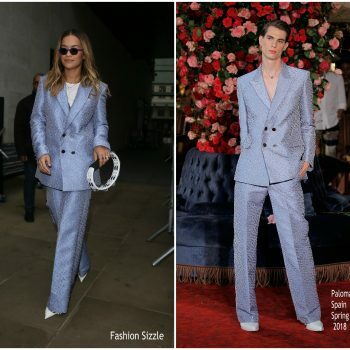 Rita Ora was in attendance at ‘Fifty Shades Freed Paris premiere this evening (February 6) in France. 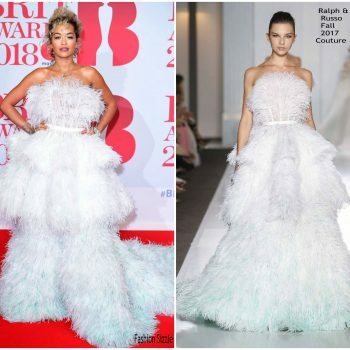 She wore a white a Stéphane Rolland Spring 2018 Couture design. 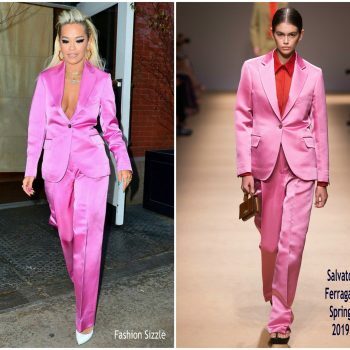 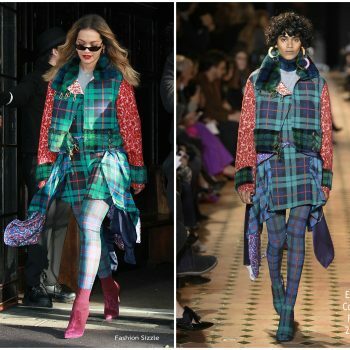 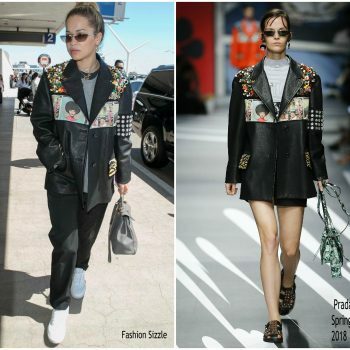 Rita Ora was spotted In Floral Suit Leaving Her Hotel in New York 01/26/2018 She is wearing a pair of Olgana Paris Satin heels. 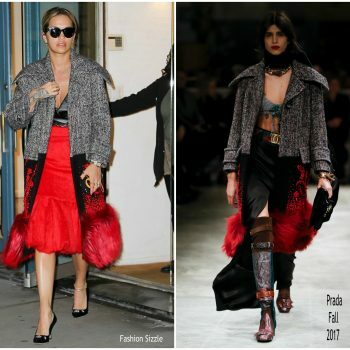 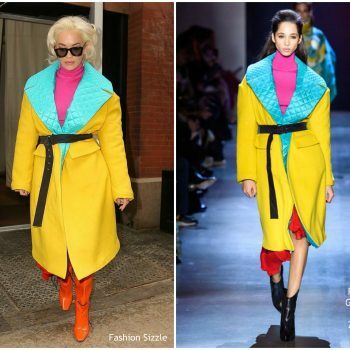 Rita Ora was spotted on her arrival for a guest appearance to “Late Night with Seth Meyers” in NYC 02/01/2018 She is wearing a orange Tom Ford design styled with Poppy Lissiman heels. 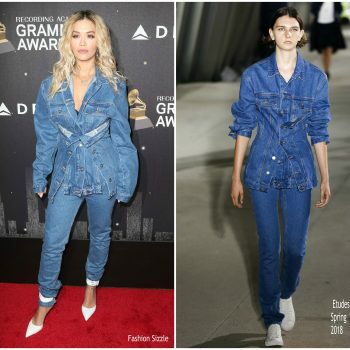 Rita Ora attended the Delta Air Lines Celebrates 2018 GRAMMY Weekend on Thursday, (January 25) in New York City. 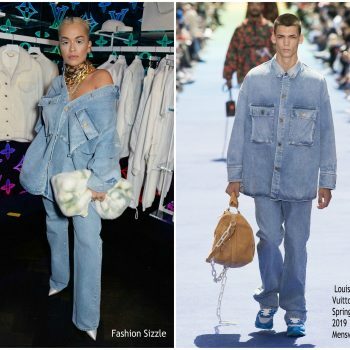 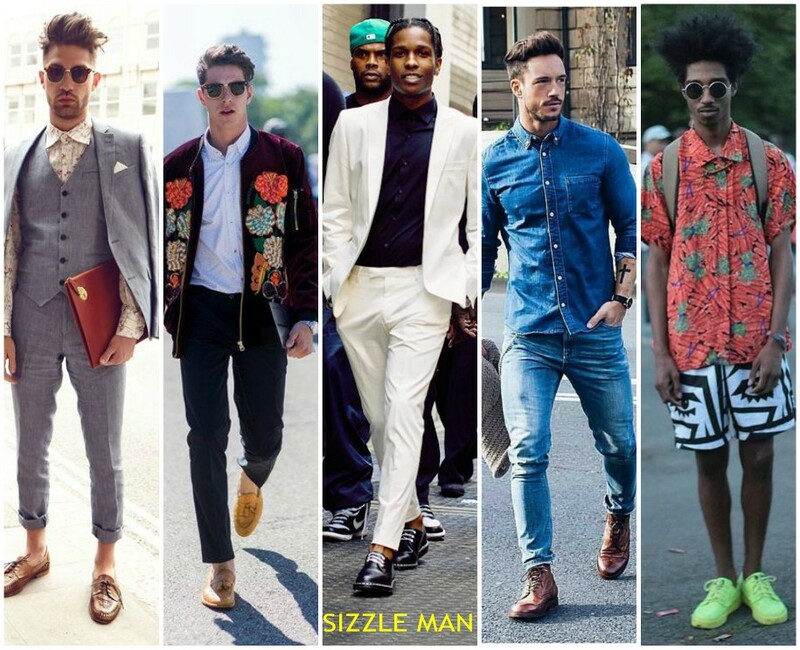 She wore a double denim Étude’s Spring 2018 Menswear design styled with Aquazzura pumps .